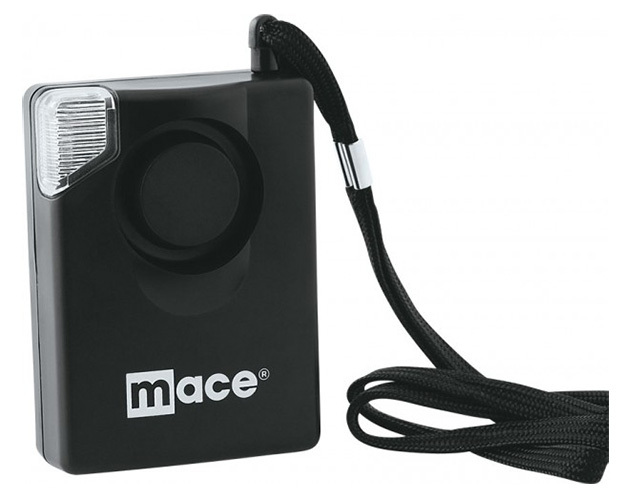 The Mace Sportstrobe Personal Alarm System is actually 3 units in 1! It is a personal alarm device, a flashlight and an emergency flasher. This personal alarm is idea for single women, college students or elderly women. 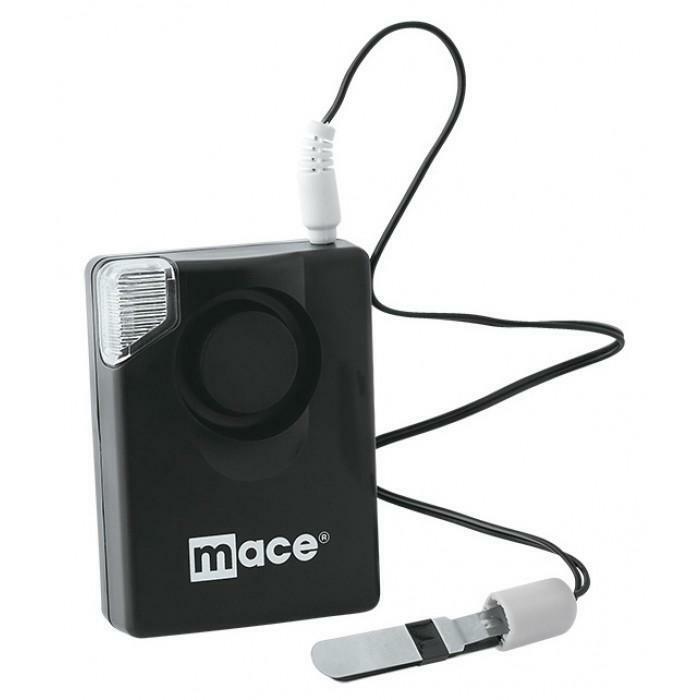 The Mace Sportstrobe Personal Alarm System is actually 3 units in 1! It is a personal alarm device, a flashlight and an emergency flasher. This personal alarm is idea for single women, college students or elderly women. To activate alarm, remove pin from the top of the unit to emit 130 dB blast and flashing light. The small button on side of unit allows the strobe light to be used as a flashlight. The FREE attachment allows the Sportstrobe to be used as a door or window alarm. Uses 9 volt battery – not included. This personal alarm provides you the ability to prevent or stop an attack, drawing attention to yourself so you can seek help. 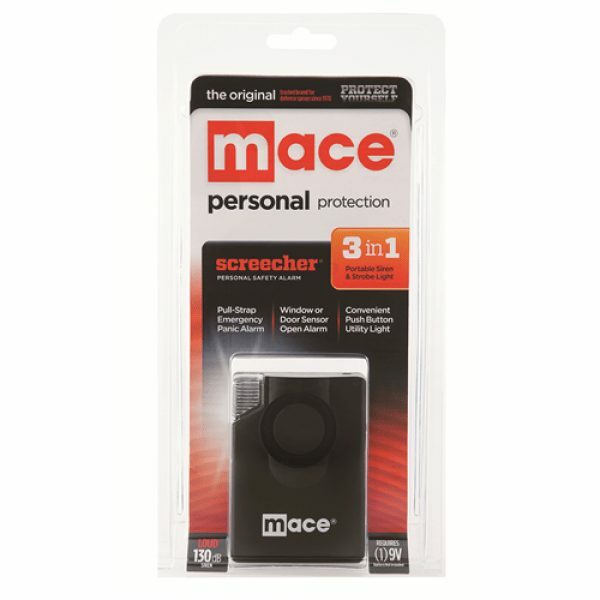 All Mace personal alarm purchases are backed by our 30-Day Risk Free Guarantee.